Cancer is the #2 killer of women in the United States, says retired pharmacist and women’s health expert Marla Ahlgrimm. With greater than 200,000 new cases diagnosed each year, breast cancer accounts for a vast number of preventable deaths. Here, Ahlgrimm answers a few common questions about breast cancer. Q: What causes breast cancer? Marla Ahlgrimm: There is no definitive answer to this question. Breast cancer is simply the result of mutated cells in the breast tissue. This tissue may become damaged for any number of reasons, including excessive alcohol use. A family history of breast cancer, early onset menses, and obesity are just a few risk factors. Q: Can I get breast cancer from being in contact with someone who has cancer? Marla Ahlgrimm: Cancer is a non-communicable disease; you cannot “catch” cancer from someone else. Another common myth is that wearing a bra causes cancer. This, too, simply isn’t true. Breast cancer is not caused by caffeine, cell phone usage, or deodorant, despite occasionally-circulating speculation. 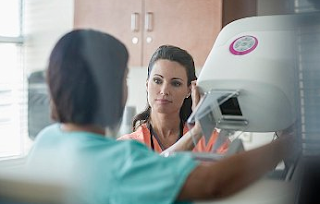 Q: Are cysts a form of breast cancer? Marla Ahlgrimm: Cysts, which are actually quite common, very seldom turn into a malignant growth. However, it is important to have any new lumps or changes in your breasts checked out by a doctor. Marla Ahlgrimm: As is true with all drugs, different people react to chemotherapy in different ways. Many breast cancer patients undergoing chemotherapy complain of nausea, hair loss, vomiting, and fatigue. Some patients find they are more prone to diarrhea, mouth sores, anemia, and changes in their taste and smell. Other side effects including rash, bladder irritation, fluid retention, and aching hands and feet are common. There are, fortunately, medications available that will help manage the side effects of chemotherapy.